Pasaway ka kasi sa Classifieds e, sinabihan ka na nga ng ibang mods na wag mangdaya sa pagbubump ng threads mo pero tuluy-tuloy ka pa rin. Your account just got suspended. You shouldn't make a clone account if your original account gets suspended. Back to regular programming, boys and girls. Ala pang updated na pics since nag-quit na akong mag-gig. Hush II-CX nasa empty spot nung rack. Delay nga ito. Hmmm. Ano kaya kaibahan sa Flashback. 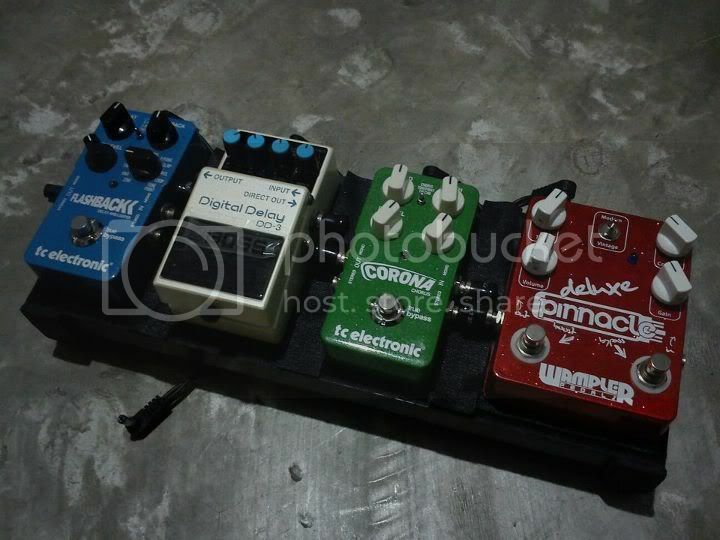 More types of delay pa yung nakikita ko. Wala sa Flashback. TCE Nova Repeater user here! I am really liking it. I haven't really gotten to use (much less explore) its full potential though. I use it mainly for my leads just to add some repeats. I think the Flashback Delay would be good enough na rin for my purposes but Musician's Friend had this cheap during one of their sales (got it only for Php6700 from jefisipbata; thanks Cayle sa pagtimbre sa akin na may sale) so I got this one. Highly recommended! 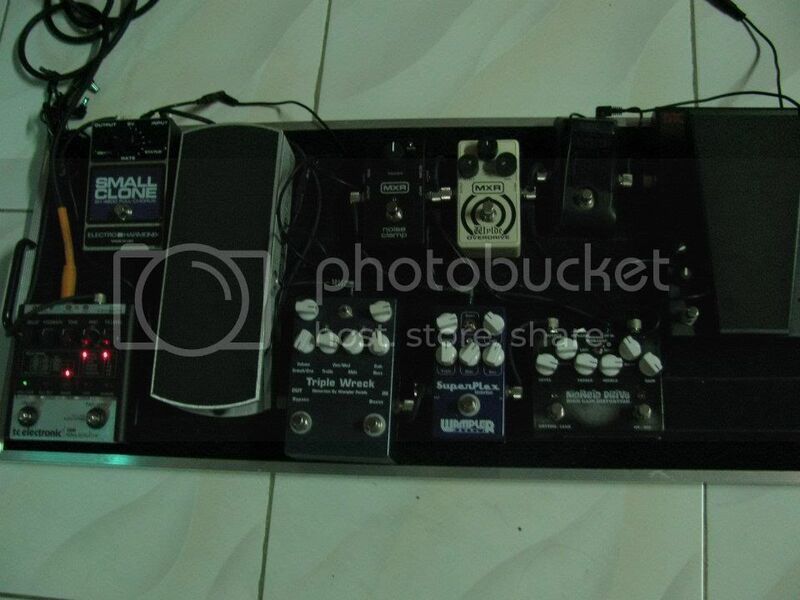 I noticed the difference in having this instead of my Digitech Digidelay in my tone. This one made my distortion pedals sound bigger and fuller. It kinda compressed my tone (but not too much) in a good way! 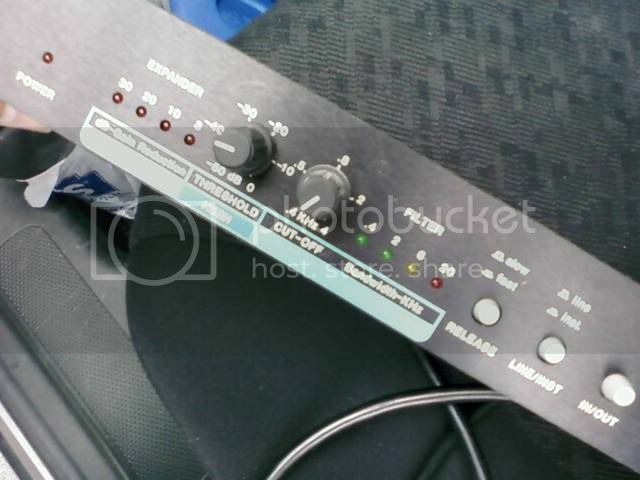 I'd like a Nova Modulator though for phaser and chorus effects. 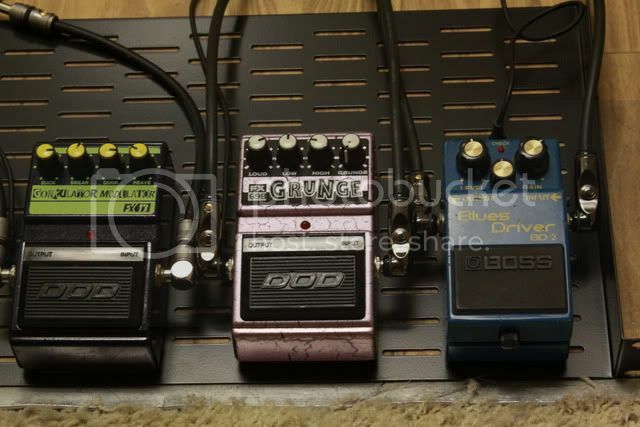 If go that route, I'd be selling the EHX chorus. hindi ba talaga ayus? shall i go for the pitchblack? prefer ko lang naman accurate. Hey bro! Sorry ngayon ko lang nakita to. Medyo nakakapanibago nga kasi imbes na sa paa ka magseset ng tempo, sa strumming mo gagawin. Actually hindi ko pa ginagamit live yung Flashback. Sanayan lang din. Yung nagdedemo sa YT parang ang dali nung ginagawa niya e hehehe. PM mo cel# mo sa akin. Iba na number mo right? 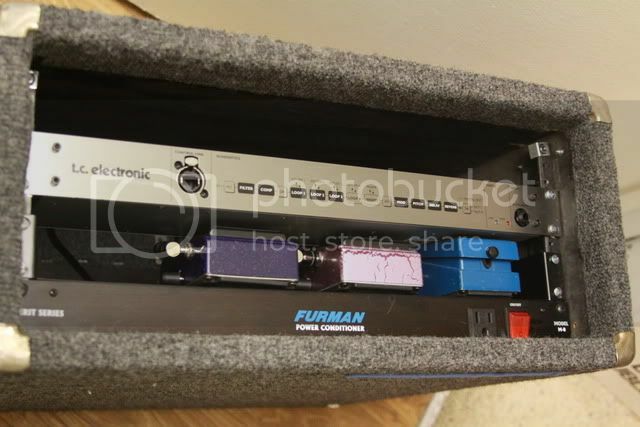 How do you guys find the TC Drive? Thank you. Sa yo pala napunta yang deluxe hehehe. China ka pa din right. Sige PM mo lang ako. Ingat lagi bro. I'm currently using the VoiceLive 2 in live situations for that superb backing vocals and "Auto -Tuned Lead Vocals" a la Cher/T-Pain for our fast/dance songs. Sa ballads, the reverbs and delays are very helpful. 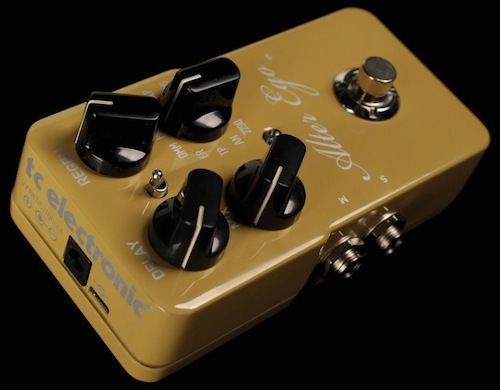 A joint collaboration between TC Electronic and Pro Guitar Shop, the Alter Ego Delay is a new take on the very successful TC Electronic Flashback. 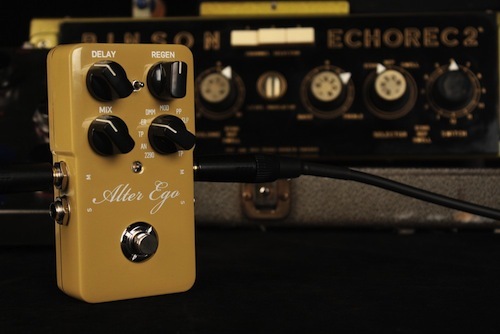 Featuring two new presets modeled after a couple classic delays: the Binson Echorec, and the EHX Deluxe Memory Man. "